Obituary for Linda A. (Lovett) Godsey | Obaugh Funeral Home, Inc.
Linda A. 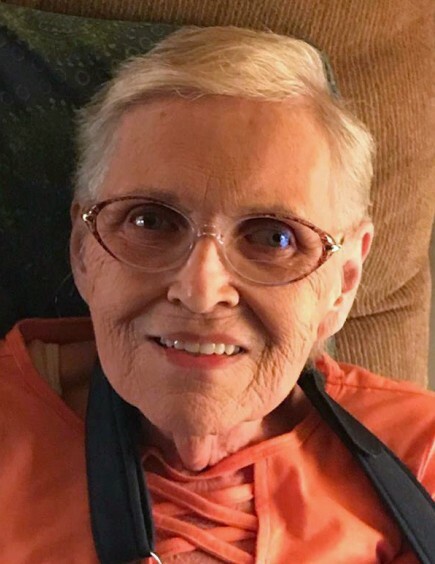 (Lovett) Godsey, 73 of Halterman Hollow in Monterey, passed away, Sunday, November 25, 2018 at her home, surrounded by family. She was born August 11, 1945, in Loudoun County, a daughter to the late Alice (Gregg) and Harold Gill Lovett. On January 2, 1967, she married Raymond Elmore Godsey Jr.
A woman of strong faith, Linda was a member of Word of Faith Church and loved reading her Bible. She was employed with the Community Services Board for many years as a caregiver in several group homes throughout Virginia. She enjoyed time spent with her family, loved to work her garden, going to the river or just visits to sit and chat. She cared and did everything for whomever she could. Above all, Linda will be remembered as a loving wife, mother, grandmother, great-grandmother and friend. In addition to her parents, she was predeceased by an infant brother, Donald Gill Lovett. She is survived by her husband of 51 years, Raymond E. Godsey Jr; sons, Tim Lovett and wife Tracy of Front Royal and Raymond “Buckie” E. Godsey III of Mathews; daughter, Linda Neave and husband, Barry of Monterey; grandchildren, Tiffany Wirfs, Trisha Lovett, Robin Kellum, Tori Pamplin, Raymond E. Godsey IV, Ryan Skelton, Molly Godsey, Harold Skelton, Gavin Neave, Violet Neave and Piper Neave; great-grandchildren, Hunter Kellum, Macie Morningstar, Colby and Maddie Pamplin, and T.J. and Stella Wirfs ; sisters, Louise Rose of North Fork, Doris Sutphin of Berkley Springs, W.Va. and Thelma Davis of N.C.; numerous nieces and nephews; best friends, Olin and Judy Waybright as well as Sandie Hockman; special friends, Kevin Goodbar and family, Dallas Waybright, Treva Hull and family, Lon Ricketts and family, Penny Chestnut and family; as well as numerous nieces and nephews. A memorial service will be held 2 p.m., Friday, November 30, 2018 at the Word of Faith Church with the Pastor Chip Hill officiating. In lieu of flowers, memorial donations may be sent to the Highland County Rescue Squad, P.O. Box 268, Monterey, Va. 24465.